2016: Geographies of Soul and Taffeta, Indolent Books. Please click on the book title above to order a copy from Indolent Books or try Amazon. Review/microreview by Mary Meriam on The Bind... "there is serious and searching and cosmic questioning..." is here. Review by Spencer Dew in decomP..."the need to kill various elves" is here. Review by July Westhale in Lambda... "irreverent, yet anguished" is here. Review by Krystal Languell in Pleiades Book Review 14.1... "narrative clarity and a parallel grammatical flourish" is here (not online). 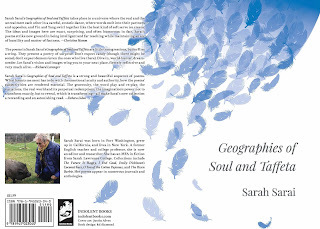 Review by Chris Mansel in The Daily Art Source... "a very personable, telling and humorous book. I would recommend you buy copies to give away." Indolent Books was founded by poet Michael Broder. Its first run of five books premiered at AWP in Los Angeles in March 2016. The official pub date is April 15, 2016. 2015: The Risen Barbie (Dusie Kollektiv). Much cuter in the actual chapbook, but hey, here it is in an approximate print limbo. 2013: I Feel Good (e-chapbook), Beard of Bees. (Eric Elshtain, Editor; Jon Trowbridge, Publisher) "Beard of Bees is committed to publishing quality chapbooks by liberated poets from Anywhere. We do not discriminate against non-human or post-human artists." Chapbook printed in a run of 50. Distributed at the AWP Conference, Boston, Mass. Sold out at the CUNY Chapbook Festival. Second edition (with a few more poems) printed in May 2013. A Small Press Distribution "Pick of the Week." 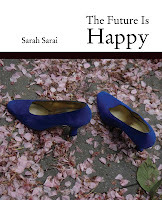 Order through Amazon, Small Press Distribution, Bluestockings Bookstore (Lower East Side), Unnameable Books (Brooklyn), Open Books (Seattle) or the independent bookstore of your choice. Randall Radic's review in Alvah's Books. Melissa Studdard's review is in American Book Review, Jan/Feb 2011. Stephen Page wrote a wonderful, list of a review on this blog. 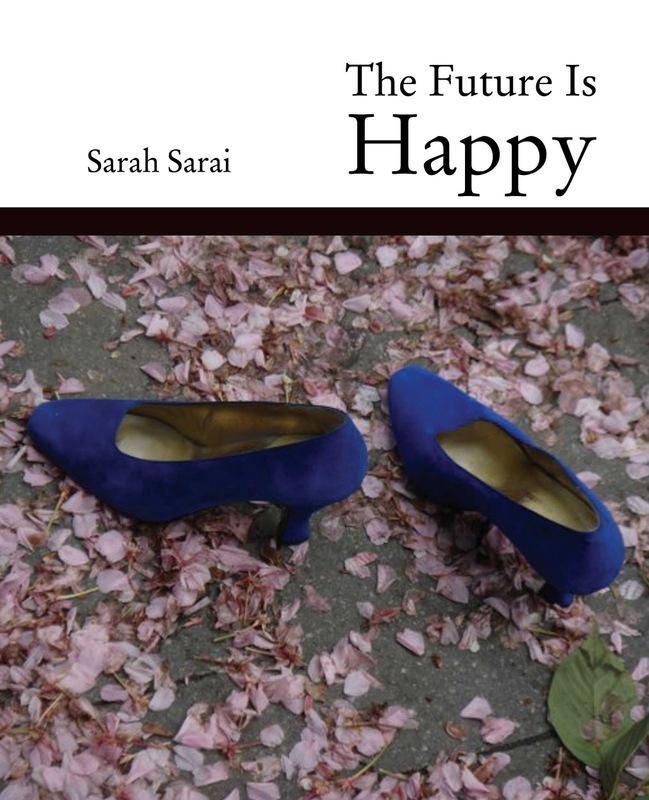 The Future Is Happy was a best/pick for Small Press Distribution, and was a "Best Book" pick of Guerrilla Girls on Tour (a juicy listing ,of fiction, poetry, drama--published in 2009, and all by women).